M4V to MP4 Converter is all-in-one video converter which is able to convert M4V to MP4 file with ease. M4V to MP4 Converter can convert M4V to all popular video, like convert M4V to MP4; convert M4V to AVI, 3GP, WMV, FLV, etc. You can also extract audio from M4V, and others to AAC, AC3, AIFF, AMR, AU, FLAC, MP3, M4A, MP2, OGG, WAV, WMA audio, and convert audio to above audios. The M4V file format is a video container format developed by Apple and is very similar to the MP4 format. But M4V files may optionally be protected by DRM copy protection. Therefore, if your video files are M4V File, you can only watch on Apple device. When your download or purchased M4V videos and the files cannot be played on your portable media player, just because these videos are M4V format. 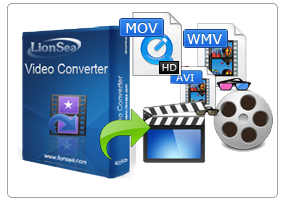 M4V to MP4 Converter will help you watch any video format you want! With M4V to MP4 Converter, you will never be disappointed. Just a matter of a few simple steps, you can enjoy your favorite videos at will. There are few portable media plays supports M4V format, except Apple devices. M4V files you purchased on iTunes Store can only be played on iTunes, iPod, iPhone. And there are limitations of play on 5 devices. M4V to MP4 Converter can convert M4V into other popular formats at extremely fast speed, and you will also excitedly find that the quality of the converted and original videos is almost the same.